Covering all your building, refurbishment and installation requirements including extensions, renovations, loft conversions and more, T M Freeman Ltd has a vast experience and has been undertaking projects around the Bedford and Newport Pagnell areas and beyond for over 20 years. Whether you are looking to design and build property extensions or refurbish a kitchen, we have the skills and knowledge to design and build your project with the minimum of fuss and the highest level of attention to detail. We cover the Bedford and Newport Pagnell areas and beyond so just enquire today for more information. 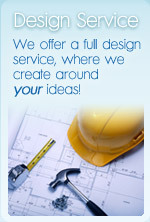 We are house builders and designers, designing around your needs and preferences. From house extensions to home improvements, our guidance and knowledge can help you obtain a design that’s not only tailored to your tastes but is also very practical, incorporating modern design aspects and facilities. With an eye for detail and the knowledge of options and fittings, we can help you create a perfect modern design. We can assist your ideas and develop these into full plans and structured projects, where we will achieve the aims and standards we lay out with you the client. Our construction and builders expertise has resulted in us becoming full members of the Federation of Master Builders, which is a trade association that sets the standard in building quality amongst house builders. All this means that you can rest assured our work is of the up most quality, and that we constantly adhere to these high standards. In our years of building renovations and refurbishing experience we have gained a vast wealth of invaluable knowledge and skills that allow us to create stunning and beautiful modern layouts, working around the property to create the best layouts that work in that space. Whether it is loft conversions, full refurbishment of an entire house, or just a single room, we are confident you will love our design and build service, and will enjoy working with us to create your perfect house. Just enquire today for more information about our building renovations, loft conversions and more, and we can arrange a consultation and see what we can do for you. If you are in the Bedford and Newport Pagnell area we can even come and visit you. At T M Freeman Ltd we off a wide range of bespoke carpentry & joinery options. We have skilled & qualified craftsmen and builders who will turn the ideas you have into a reality. We have a vast experience in installing kitchens, designing around you the customer. Covering Bedford and Newport Pagnell , just enquire today for more details and we will happily discuss the options through with you.